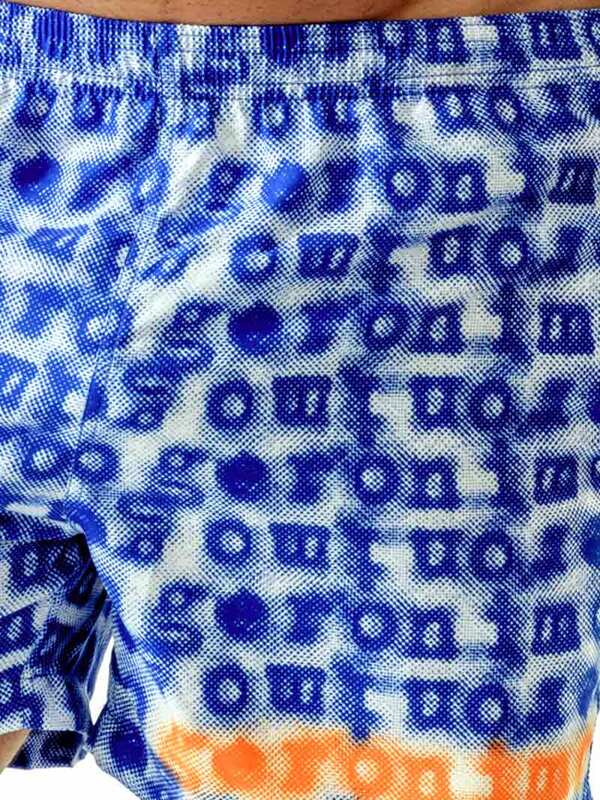 Laid-back and versatile, this handsome Geronimo 1709p1 Blue swim shorts with printed Geronimo's logo in an attractive all over pattern. It features a silhouette that's short and breezy - great for tanning and showing off by the pool, vertical mesh pocket at each side, plus one on back right side with metal drain hole. This trunk is made of a soft, high quality, quick drying, lightweight fabric. The swim shorts also offer full mesh liner and plenty of comfortable leg room, so you'll feel as good as you look! You’ll be pleased to know that the Geronimo 1709 range offers flip flops in the same color variations.